A feeling of intense trepidation hung over this reviewer on making his way towards the Alhambra last Sunday. As part of its extensive repertoire the club had previously screened films depicting life on sink estates (Andrea Arnold’s “Fish Tank” for example), and background research revealed that Clio Barnard’s debut feature “The Arbor” was arguably set on the worst street on the worst estate (Buttershaw) in one of the most deprived inner city areas in the country. Were we in for another dose of social realism in a setting most people would never choose to venture into except from the safety of a comfortable cinema seat? The subject matter of this “almost but not quite a documentary” film also seemed dispiriting, dwelling as it did on the trials and tribulations of the Dunbar family starting with the tragically brief life of young playwright Andrea Dunbar, who died of a brain haemorrhage from alcohol abuse at just 29 in 1990 leaving behind three children by three different fathers. But of course Andrea Dunbar had not asked to be born at all let alone in Buttershaw. However, by the age of 15, her writing talents had begun to emerge but in an environment totally ill-equipped to nurture their development. During her short life she’d written three plays all drawn from her experiences in growing up on the estate, all of which had been performed at London’s Royal Court Theatre and the second of which Rita, Sue and Bob Too had later transferred to New York and been turned into a film. But whilst her background had informed her art, her talent was not itself sufficient to enable her to deal with her personal life. In Barnard’s docu-drama events in Dunbar’s life were recalled through interviews with her real family, using real actors to “lip-synch” their words (as in Nick Park’s animated “Creature Comforts”) and to restage significant moments on the now closely mown grassy areas on the estate watched by the current residents. Dunbar was also shown in various archived news clips of her life, and proving to be, not unexpectedly, a tough individual who took no prisoners but who could be very entertaining. One question remained however: what was the point in making the film when there had already been a retrospective of her life in 2000 in the play A State Affair by Robin Soans? And life had certainly moved on after Dunbar’s death. Her daughter Lorraine had fared in many respects even worse than her mother having become a cocaine and heroin addict, abused prostitute and, in 2007, convicted of manslaughter of her one year old son who had overdosed on his mother’s methadone. In the meantime the estate had been in part demolished to be replaced with new housing under a £30 million regeneration scheme. So did we learn any more about Dunbar and her family through these retrospective techniques? Yes. Dunbar was shown to be an even more inadequate mother than as previously shown and the only person who had met any of her children’s emotional needs was her mother. From a sociological perspective, the improvement in housing stock on the estate had been at the expense of the loss of a perceived community spirit, and, more importantly, the cycle of inadequacy seemed destined to continue, particularly if daughter Lorraine’s experiences were anything to go by. Barnard’s techniques informed and engaged audience interest in the catalogue of horrendous and sometimes self-inflicted indignities somehow endured by the Dunbar family which would otherwise have appeared merely repetitious. The actors melded into their roles as family members although this reviewer would have expected Dunbar’s children to have appeared somewhat more experience-ravaged than they presented. Barnard’s film has received both considerable critical acclaim gaining the Guardian First Film Award 2011 and commercial success. 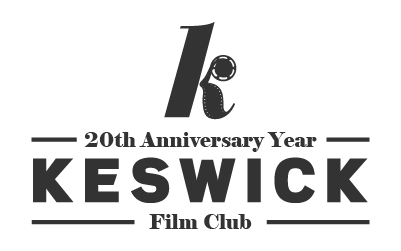 It was part sponsored by the UK Film Council (which also sponsored the hugely successful and now heavily Oscar nominated The King’s Speech) so the Council’s imminent demise as part of the Government’s cutbacks now appears perverse. 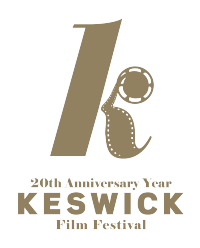 If nothing else the film served to remind another large and appreciative Keswick audience of the privilege of being able to live in such a beautiful, socially cohesive, and largely crime free environment! Mention should also be made of the supporting “short” Corpses and Other Teenage Problems by the young amateur film-maker Robert Frost who introduced his film…a very competent, amusing and assured black comedy with which a certain Mr Alfred Hitchcock would have been pleased to be associated.